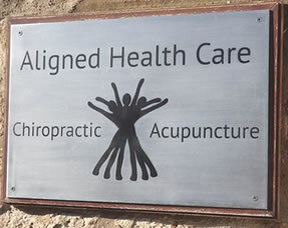 At Aligned Healthcare, our chiropractors are expert in assessing, diagnosing and managing conditions of the spine. We are all highly trained in finding the cause of pain in the spine. Before starting any sort of treatment, we do a full assessment. This will involve taking details about your condition, current health and medical history, and performing a physical examination. The more information we have about you and your lower back pain, the easier it will be to find the cause. In some case, it may be necessary to refer you for other tests, such as X-rays, MRI scans or blood tests. Once we have completed this assessment, we will explain in layman’s terms what is wrong and suggest our recommended course of treatment. Treatment will usually be the normal chiropractic method of manual treatments such as spinal manipulation. We use our hands to free stiff or restricted joints, or mobilisation, which is the gradual moving of joints. In some cases we may also use other recommended treatments such as acupuncture, electrotherapy, stretching exercises and rehabilitation. We often offer lifestyle advice to help recovery and to prevent repeated episodes of back pain. What if chiropractic isn’t for me? If we feel you can’t be helped by chiropractic treatment, we would refer you back to your GP. We cannot prescribe medication, so if this is needed, we would refer you back to your GP. In order to keep your GPO information, we would usually send a brief report to your GP. Many people who suffer long-term back pain benefit from regular, supportive chiropractic care to reduce the risk of recurrent episodes. Find out about our Maintenance Care Packages.